Check out this AWESOME 2008 partial-Splash, which was penciled by the great Chris Bachalo, and inked by the great Tim Townsend, from the story titled: "Blood on the Ice!" This incredibly detailed page features Spider-Man saving a woman from a monster! WOW! 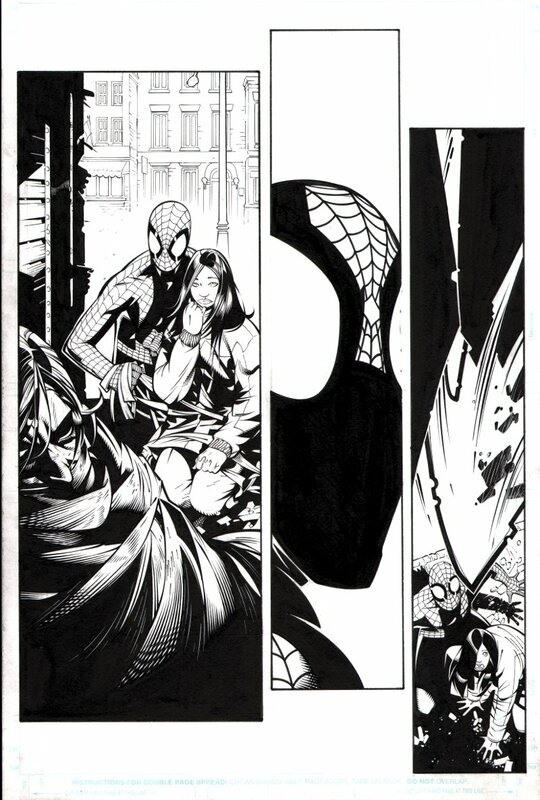 Just a great opportunity here to own a GREAT Bachalo / Townsend Spidey page!